This is the second location for my Where to Stay in Seoul series. The first location I wrote about was Myeongdong and you can read it here. As most of you know, Myeongdong is the ideal place for tourists specially those who are into shopping and street food. And even if that’s not your thing, it is still a good location to be at because if you have nothing to do in the evening, you can just cross over to the shopping streets and find yourself entertained by how busy that area is. Now moving on to this post, you may ask “Where is Samcheong-dong?” or “What’s there to see in Samcheong-dong?” For those of you who don’t know, Samcheong-dong is one of my favorite places in Seoul. If only 126 Mansion is still there, I would not be recommending any other guesthouses in Seoul nor in this neighborhood. It’s a great place to stay in if you are into culture and history. That’s where you should stay if you want to see Gyeongbokgung, Changdeokgung, Insadong, Bukchon Hanok Village, Gwanghwamun Square, and even Seochon. That’s where you’ll find museums and art galleries. And that’s also where you’ll find an abundance of local cafes and shops. Imagine walking along the alleys of Samcheong-dong and smelling freshly roasted coffee beans from one of the cafes you pass by. The vibe there is hip and trendy. I love Samcheong-dong because it has a unique charm that harmonizes tradition with the fresh youthful vibe of the present. I already said this before in my post about Samcheong-dong that the artistic appeal of the place comes from the fact that there is a beautiful integration of the serene and antique beauty of traditional houses and the hip vibe of chic galleries, resaturants, and cafes that have sprung up in the area. I really encourage you to read up on my previous posts about Samcheong-dong and Bukchon so that you’ll have an idea of what to expect there. I have written about this place twice in 2012: you can read it here and here. And I also wrote about it twice in 2014: you can find it here and here. Now for this post, I will only recommend guesthouses, mostly hanok guesthouses. 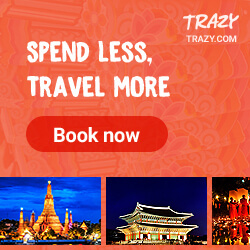 It’s because I want you to experience something unique while in Seoul if ever you decide to stay in Samcheong-dong. Besides, staying in hanok guesthouses is only possible in this area so I am really recommending that you stay in a guesthouse rather in a another corporate chain hotel. It’s a hanok guesthouse that ranks as #7 in Tripadvisor’s best B&B and inns in Seoul. That ranking from visitors who actually stayed there speaks highly of this guesthouse. What’s nice with Bukchonmaru Hanok Guesthouse is that breakfast comes with your booking and is delicious. The rooms are simple but the view of the patio from the rooms is really glorious. It’s situated between the two grand palaces so walking either to Gyeongbokgung or Changdeokgung would be easy peasy. If a little trek uphill is no issue with you, then you may want to consider Dalzip Bukchon. The rooms are somehow small but clean, organized, and has heated floor, plus the staff are really friendly and thoughtful. 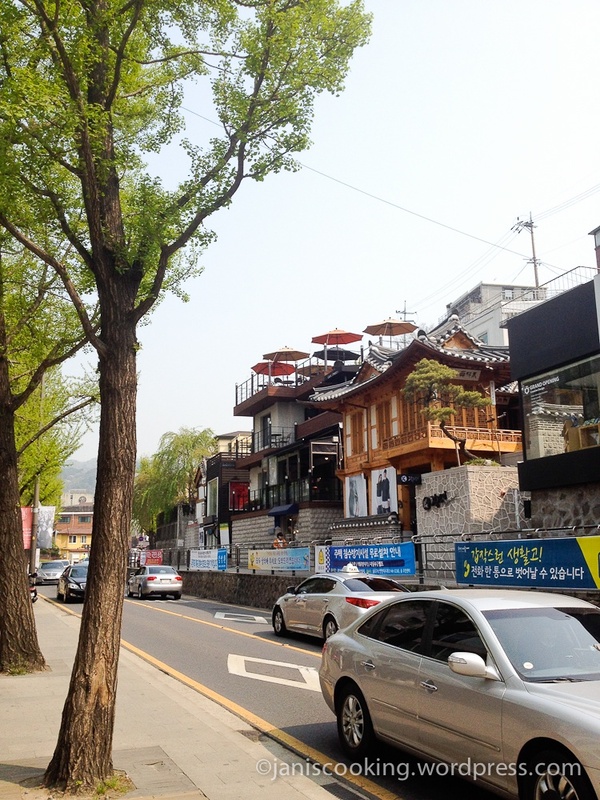 The location is close to a hanbok rental and the fact that it is at the top of the hill gives this guesthouse an amazing view of the city especially in the morning and at night. Tea and breakfast is also included where you can choose either Western or Korean but of course, I suggest you get the Korean breakfast. Now this guesthouse was recommended to me by my friend who owned and operated 126 Mansion Palpan-dong (FYI, there’s still 126 Mansion but now operating in Buyeo). I knew that 126 Mansion Palpan-dong has already closed its doors so I reached out to her as I was helping an officemate find a place to stay in the area around the last quarter of 2016. I specifically asked her help to find me a guesthouse as possibly close to 126 Mansion in terms of facilities and warmth of the people. And this was one of her recommendations. A House isn’t a hanok but is a greatly designed guesthouse; the rooms are spacious and beautifully decorated and designed. What I absolutely love though is their rooftop! I have a thing for Seoul guesthouses and their rooftops. Both 126 Mansion and Myeongdong MOM House have nice rooftops and it’s something that I always look for when booking guesthouses. You also get A-service from their staff who are thoughtful and willing to go out of their way just to help guests. If you decide to book a room at A House, request for one that has a nice view of Gyeongbokgung if it’s available. I’m pretty sure you’ll love it! And that’s all for this post. 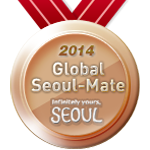 You may say that I have suggested a lot in Where to Stay in Seoul: Myeongdong but have only suggested three here. 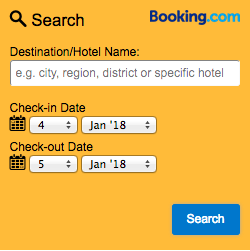 The thing is, I can only suggest places that I know of whether I have stayed there, or visited the place, or have personally passed by it, and more especially so if my friends from Korea have actually recommended the place. You will find a lot of guesthouses in Bukchon but some visitors have complained about them being hard to find, that taxis don’t want to drop them off there, or that the rooms are too tiny and some aren’t that clean enough. I’d rather have a lean list of highly recommended guesthouses than a long one with unhappy feedback. Please stay tuned for my next post. Til then, annyeong!